Long-time readers of my blog may remember that I’ve a tendency to do quite a lot of research before I start on any MOCs. After (finally) building set 7848 Toys R Us City Truck, I decided it’s time to introduce a new toy store to my minifigs (even though I don’t have space to display it…). My peeves about this set? The store is too small, too many stickers and the truck is too big. 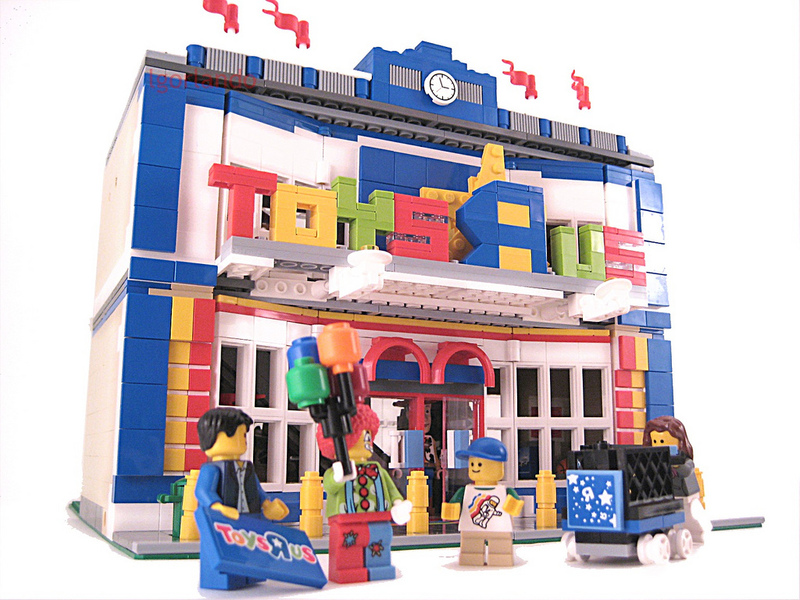 I do like the miniature LEGO sets tho, as well as the idea of having a Toyr R Us in my town. Let’s have a look at some modular TRUs and modified TRU trucks that I wanna share again here. 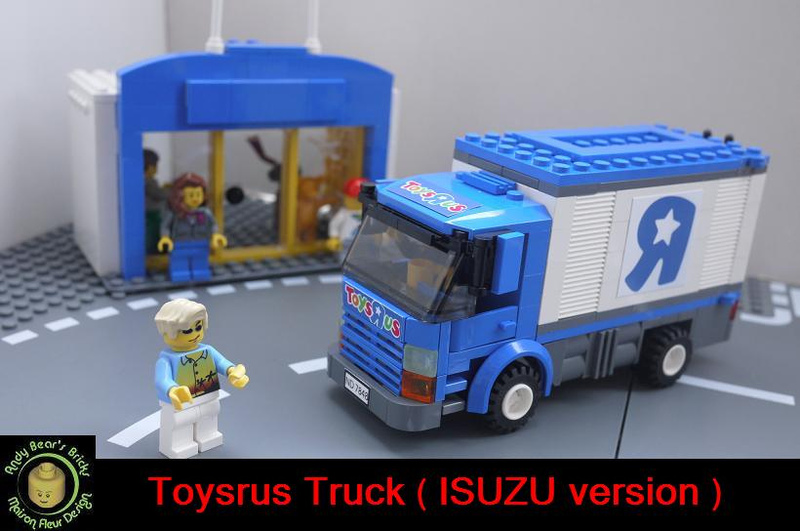 And then in September 2010, I featured the ISUZU Toysrus truck by andybear@hk. But what does an actual TRU building look like? Wasn’t sure what the latest ‘look’ for a new USA TRU stores is supposed to be. Anyone from from USA can help? Why this particular look? Well, I don’t have a blue building yet, so it adds colour to my town for one. I also have quite a bit of blue bricks (white’s fairly depleted after a series of white buildings), and wanted to make sliding doors ever since I watched the instruction video on the LEGO website (from my previous post HERE). And my progress? Well… I started this afternoon and the 1st level is mostly done I think… running into a bit of roadblock on the letterings (brick-built or print on stickers?) 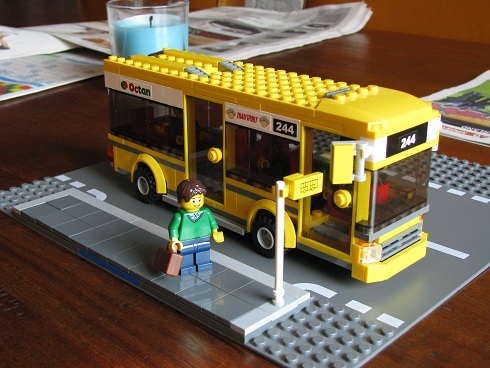 and lack of specific parts (since am still not ordering from BrickLink) and so I decided to take a break to blog. Suggestions or inspiration anyone? Especially for a modified truck. Anyone has instructions for smaller truck that looks like the ISUZU truck Andybear made? 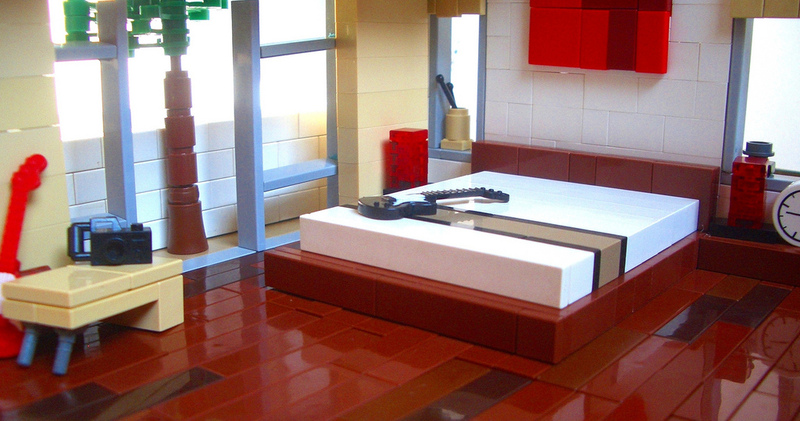 Came across a couple of MOC in the past 2 days that taught me new stuff I think I could apply in my own Lego town. 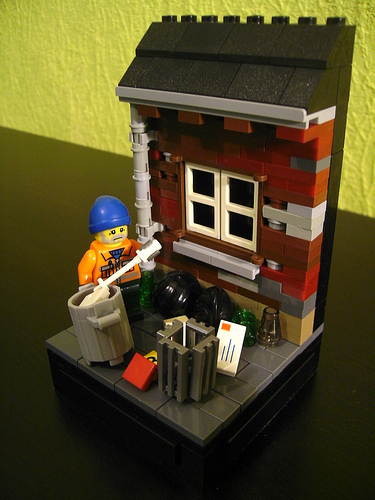 Next, I like the pipes in this vignette of waste collector by Ezechielle from EB (link here). I also like the idea of using the T-junction road plates for other purposes as Bachus, also from EB, has shared (link here). He even did a step-by-step to show how it’s done, so nice! [Side complaint: I really can’t stand how TLG insists on packing straight plates with others – evil ploy to make us buy more?? ].